The City of Melbourne’s Biennial Lab is curating some great public art encounters and there is no greater than Field Theory’s 9000 minutes. 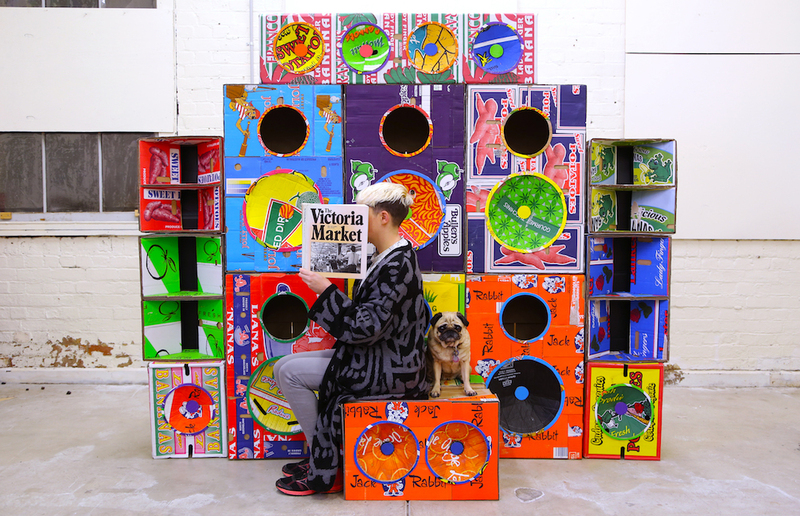 Masters of public space intervention, Field Theory does 9000 minutes, a work based at the Queen Victoria Markets but fed-by-radio live to MPavilion via Field Theory’s custom-designed speaker boxes. The work itself is an endurance broadcast: 6.25 days, 9000 minutes, non-stop. They will bathe at the market. They will smell like the market. They will not stop speaking for 9000 minutes. Be sure to visit this, either at Queen Vic Market or the emanating speakers at MPavilion, and be sure to explore the rest of ‘What Happens Now?’, City of Melbourne’s 2016 Biennial Lab.